How does Siri work on iPhone? Greetings to you, dear lovers of tablet computers. In today's article, I made a selection of the best, in my opinion, emulators of the Android operating system for Windows. 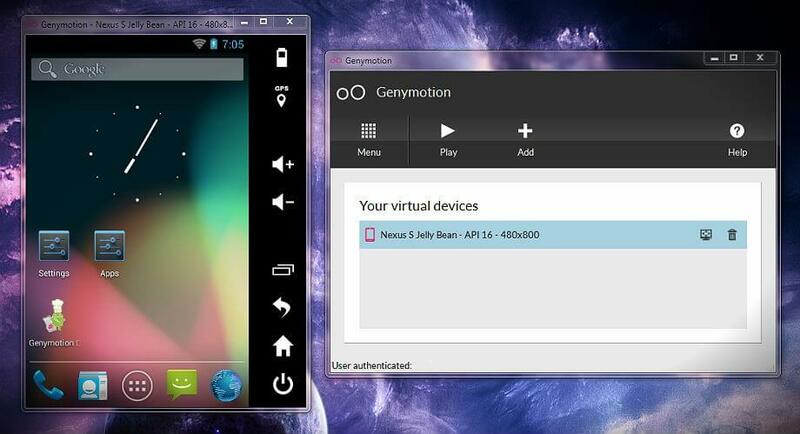 Also, on the basis of all the material obtained, I will try to select the best Android emulator. 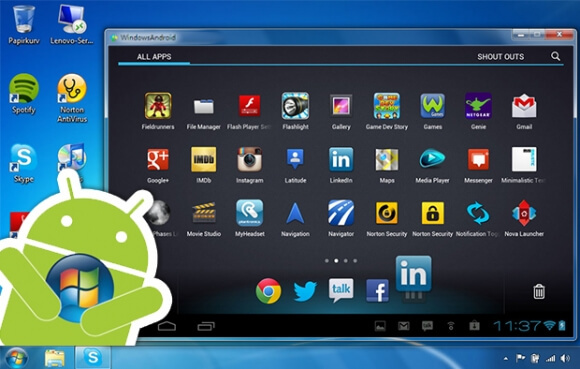 Android application store has several hundred thousand different software products, both paid and free. Such an abundance of applications makes this operating system, along with iOS, one of the most popular and sought-after mobile operating systems in the world. It is quite logical that with this, I will not be afraid of this word, various emulators appear on the PC, allowing you to open applications developed for Android on a regular platform. Below you can find a list of the most vivid and high-quality representatives of emulators for Android. This emulator is perfect for testing your applications created for the Android operating system, all this is available thanks to the built-in hardware acceleration of OpenGL. 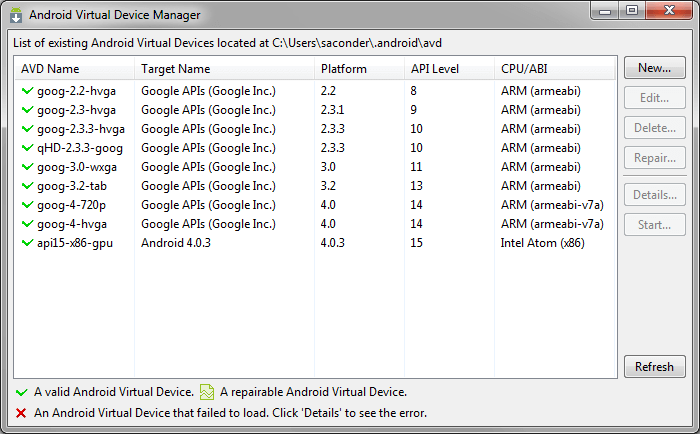 In the past, this project (emulator) was called Android VM, it gradually grew into a full-fledged, and in my opinion, one of the highest quality products of this kind of all available. The Genymotoin software tool is a multi-platform emulator, which means that it is available for most operating systems, such as: Windows, MacOS, Linux. Ability to create screen castes. This, of course, is not a complete list of all the advantages of this tool. I did not specifically touch upon some of the possibilities. they are unlikely to be understood by the ordinary, ordinary PC user. Despite all the features and benefits of this emulator, of course there are drawbacks, where without them. Applications created using Adobe Air Mobile are not supported by this emulator. If you do not know which tool to choose, then I recommend starting your search with this emulator. Emulator - the creation of Chinese developers. Of course, this program does not reach the previous level, but it can still be used as an alternative tool. Some special features and advantages were not noticed. I would like to note the speed of this emulator, it is really somewhat higher than the speed of other tools. But, coupled with the number of “brakes” and “glitches”, this seemingly tangible plus will fade. Perhaps by the time you read this article, the developers have eliminated the most obvious flaws and bugs. Suitable for Windows XP, 7, 8. Not really an emulator, in the usual sense of the word. 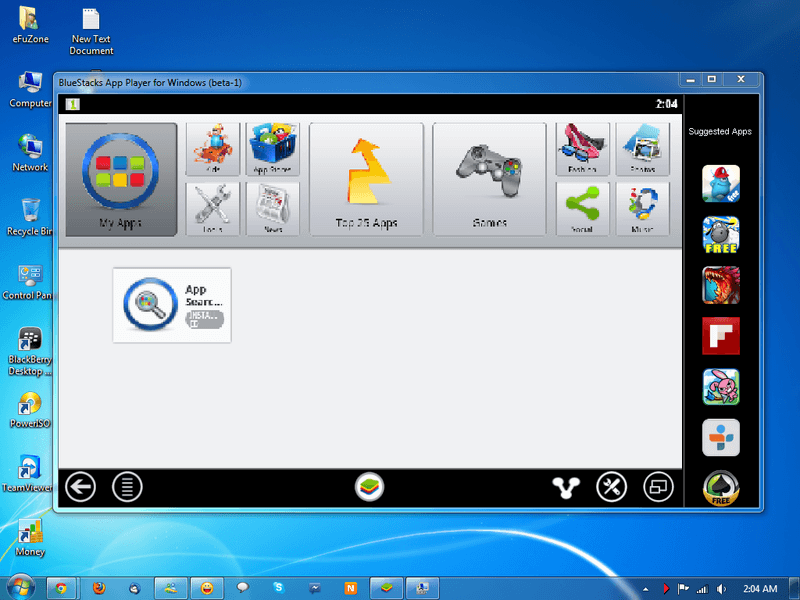 This product is rather an environment for launching Android games on a personal computer under the control of the Windows operating system. If you are looking for an emulator only for running games, then you will not find this tool better. Of the advantages that this emulator possesses, I would like to note that the application performance is pretty good..
A small, simple program for emulating the Android operating system. 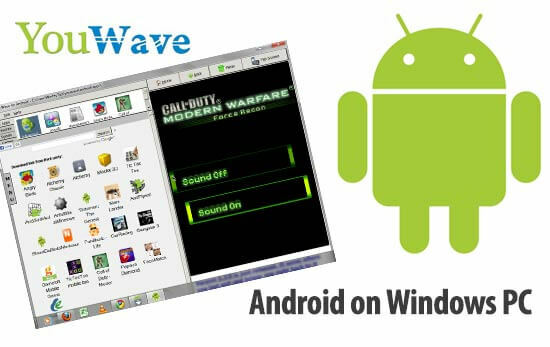 If you compare it with other representatives emulators (Windows XP, 7,8) from this list, the YouWave is one of the most used tools. All the same - the simplicity and intuitive interface - the two most important qualities of a good emulator. In fact, this tool is not an emulator - it is rather an environment for developing an Android application that includes, which is completely understandable and natural, testing and debugging tools for created applications. If you need an emulator for more complex purposes than “testing a toy”, you can choose this tool. Available for most operating systems, including PC Windows (XP, 7,8). Andy - A new emulator, according to some users, is currently working without additional dances with a tambourine. I will test. Nox APP Player - A good option. IMPORTANT: If you have chosen the right option for yourself, then save time for the rest - vote for the working tool. I downloaded the PC emulator on the Android Andy and in my opinion compared to others, this is the best option. the only drawback of this article is that the minimum requirements for emulsions are not specified. The people who started Andy_46.16_66? Testing on windows 10 says the Pebede Setup program stopped working - the problem that arose caused the program to stop working. Close the program.